Are you having a product that requires brand recognition? Are you looking forward to grow your new business, but don’t know where to start from? Well, you have come to the right place! The blog explores the first step that you need to follow to walk on the path of success. You need to begin your first Ad words campaign and its success is totally based on the strategies that you apply. Yes! 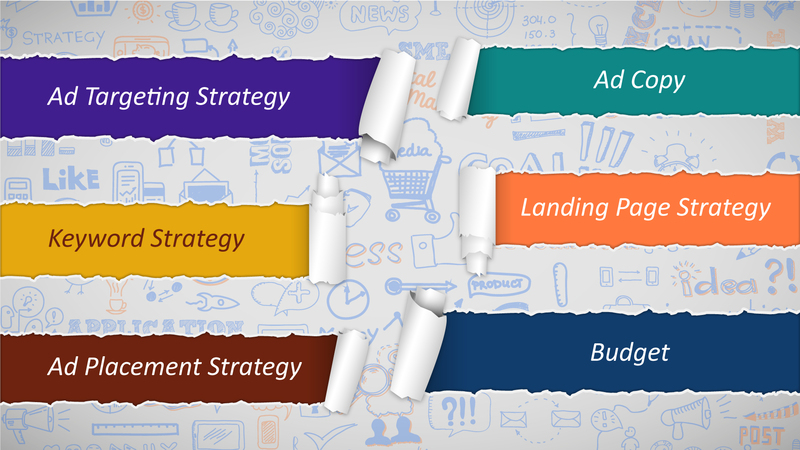 All you need to is create a strategy without which you would not be able to achieve success in your campaign. Just follow the blog and get to know the main strategies that could lead you to success. Just think and analyze your purpose of creating Ad words campaign. Obviously, you would want to target your ads. Right? So, your first step would be to apply ad targeting in your Ad words. What factors do you need to consider while applying this strategy? Well, these include audience target, device target, location or language, and keyword. Though there are many tools which help you create your keywords, you must begin by using the keyword planning tool in Ad words. Yes! The tool gives you various ideas depending on your website, your products & services, and your landing pages keyword groups. At the end, you need to acquire around 30 keywords for a single ad group. Moreover, you might require to make some extra effort depending on the way users search for your product. One of the strategies that can help you relate to the display network placements is Ad placement strategy. The strategy allows Google to put their ads on the website. That being said, this helps in setting the parameters through the network, thus allowing Google to look for similar types of websites for placing your ads. So, go ahead and use the strategy to focus on the websites used by your potential customers. Another important ingredient that can help you achieve success in your campaign is ad copy. Create ads to define your service and make sure to give a proper link between your website and the user. Doing this way would give you a better chance to be visible in the searches. Now is the time to influence your potential clients to buy your product. Creating an optimized landing page allows the customer to get more information about your product. Endeavor to create a landing page that facilitates user to take the required call to action. Include the required information and don’t forget to add a visual appeal to it. When it comes to budget, it completely depends on your returns on investment. Analyze your customer acquisition cost and go with the most appropriate budget for your Ad words. Yes! You budget depends on the lifetime value of your customer. ‘Mamsys‘ allows clients to acquire the benefits of Ad words system with improved ROI and lower costs. Experts at the organization strives to provide better results, thus assisting you in implementing a successful Ad words campaign.